Compete against a friend with this Basketball Shooting Game. 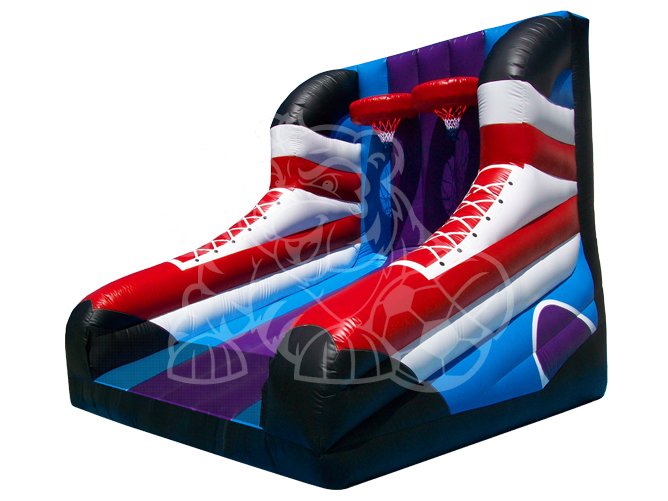 There are two Basketball hoops on this one Inflatable. If you make it or miss it, the ball rolls back to you!